It was a wet day for the Naked Hermit Crabs. Despite the rain which started early in the morning, about 30 visitors who signed up for the monthly guided walk by the Naked Hermit Crabs turn up and braved the light rain during the walk. 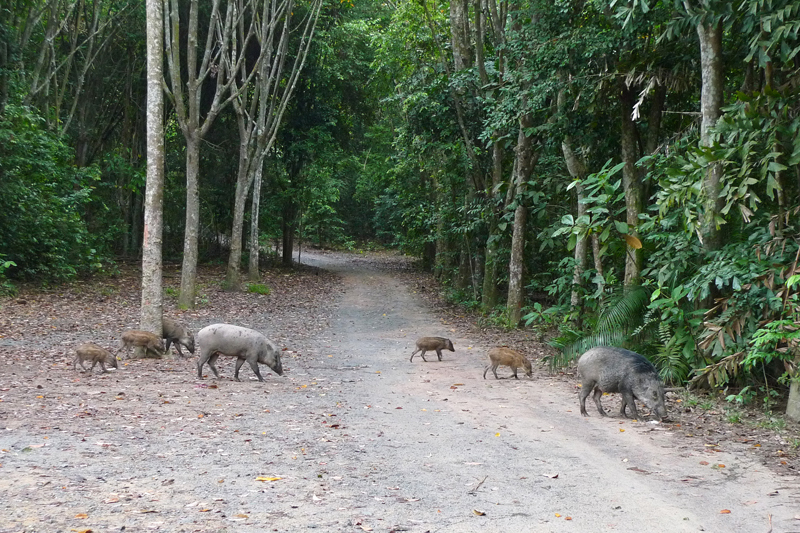 As usual, we were greeted by the wild boar herd when we alighted from the van outside at the entrance of Chek Jawa. They appeared from the forest behind the bicycle lots. One of the piglets laid down in the grooming position, waiting for mama wild boar to groom it. One of the piglets in grooming position. 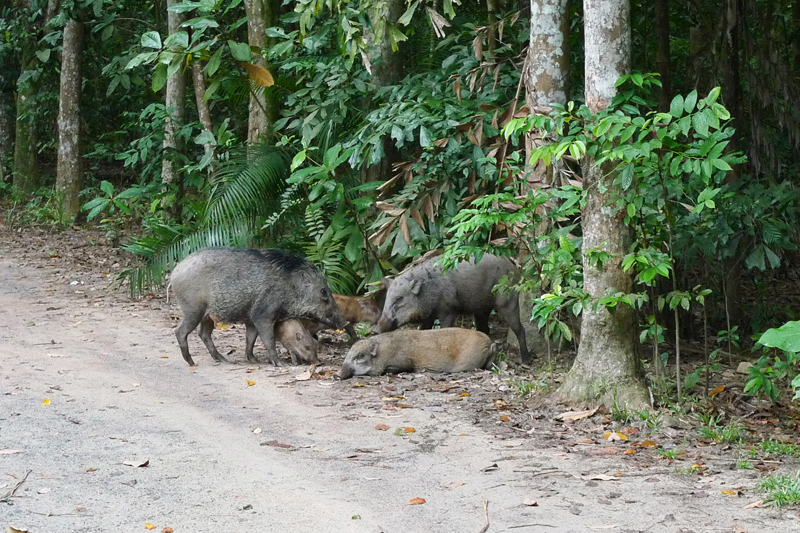 The wild boars in Chek Jawa are rather tame and friendly. They can be quite curious about visitors at times but they do not attack unless provoked. 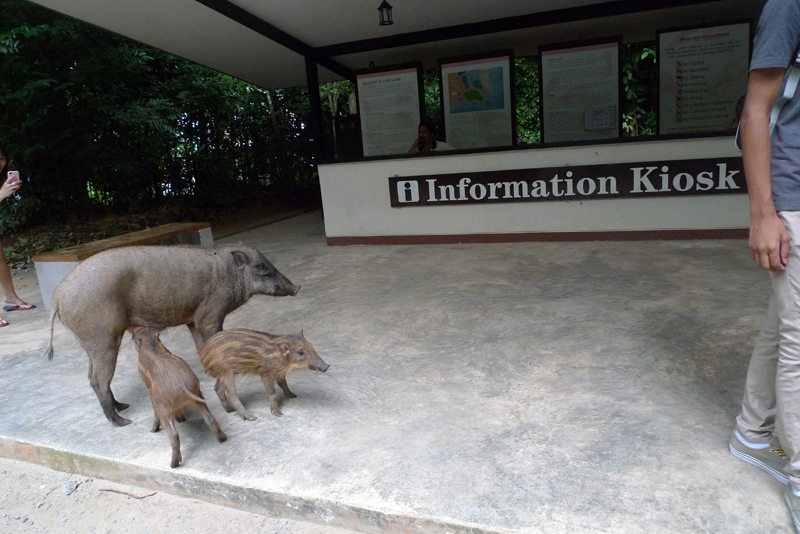 However there is an adult female wild boar that visitors need to be on a look out for. 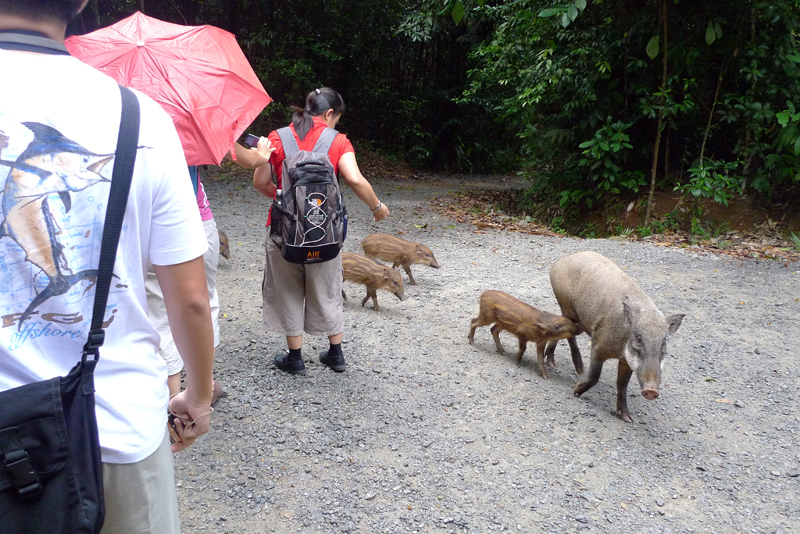 From the NParks staff on duty today, the guides were told that this adult pig (picture above) has been following the footsteps of the monkeys residing in Chek Jawa. It has been watching how the monkeys steal food and ransack bags placed on bicycles parked at Chek Jawa's entrance. Now it associates bags and plastic bags with food and it will use its mouth to pull the items away from visitors. 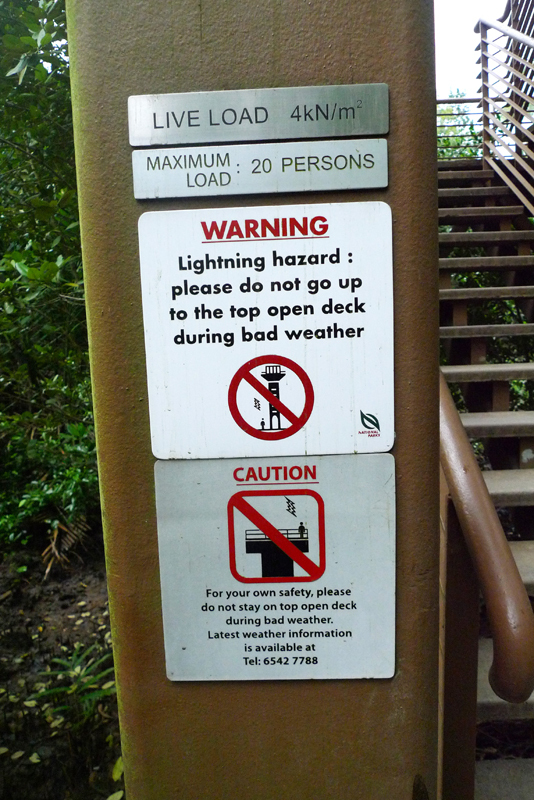 The NParks staff recommends clapping of hands and making loud sounds to scare that wild boar away. He reminds visitors not to say "Hello" as it will signal invitation for them to get closer. Watch all your belongings, especially bags. This wild boar can grab the base of your bag and put it away. In such cases, playing a tug-of-war game will cause severe damage to your bag. Keep all food in your bags. Carrying food around in plastic bags will attract this wild boar. It will not relent in following you until it gets hold of the food. If you have to encounter such situations, raise your plastic bags as high as possible and keep them in your bag quickly. Despite the rainy weather, the visitors and guides spotted quite a number of animals. 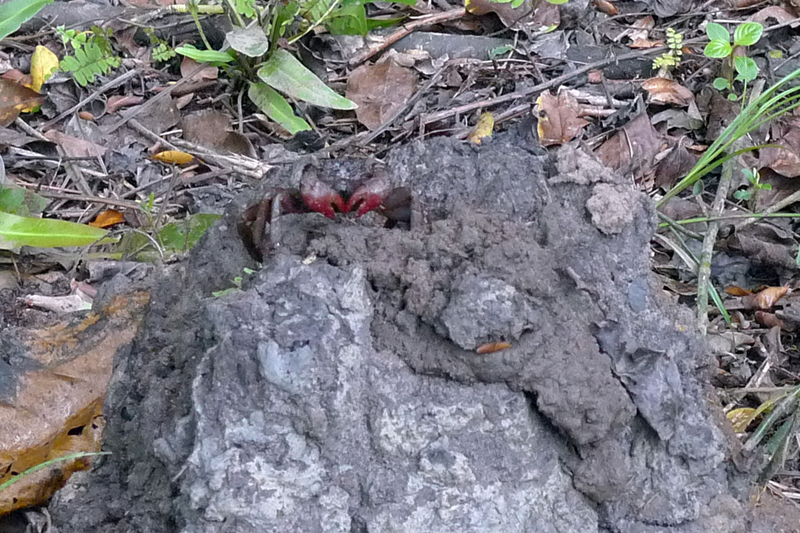 One of your visitors spotted a tree climbing crab near the foot of the jejawi tower. Its pincers look like it is forming a heart shape. The Jejawi tower is a very tall tower in Chek Jawa. 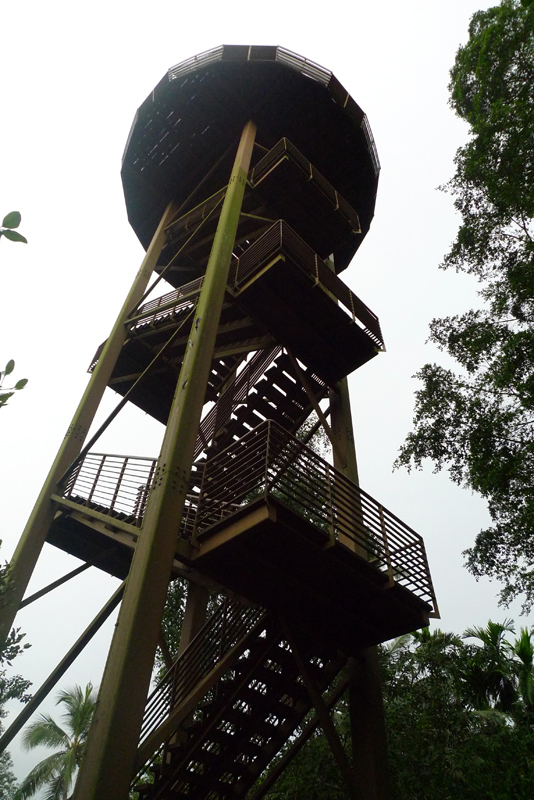 At the top of the tower, you can have an overview scene of Chek Jawa and a close up look at the Jejawi tree (a kind of fig tree). You can even see Pulau Tekong and the eastern side of Johor. Jejawi Tower from the boardwalk. Signage at the base of the tower. Chay Hoon spotted a Mangrove dwarf. I was so happy to see this dragonfly as this species is classified as uncommon and I have not seen dragonflies in Chek Jawa for a long time. This is a female dragonfly. 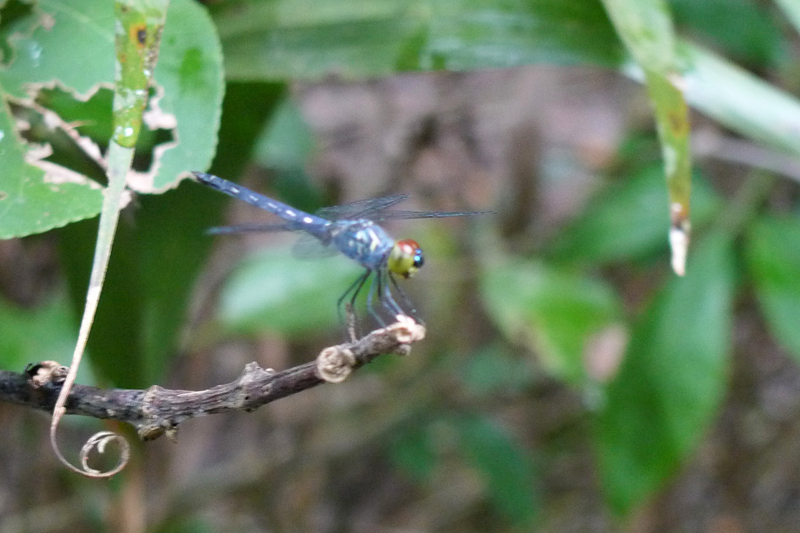 Too bad my compact camera did not do a good job in capturing this dragonfly. Hopefully this sighting means something good and the dragonfly population in Chek Jawa will grow in population. Dragonfly nymph feeds on the mosquito larvae and the adult dragonfly will feed on mosquitos. They are nature's mosquito control. Today I'm on free guiding and was following closely with Ria's group. I helped to spot animals and explain some of the sighting to our visitors. 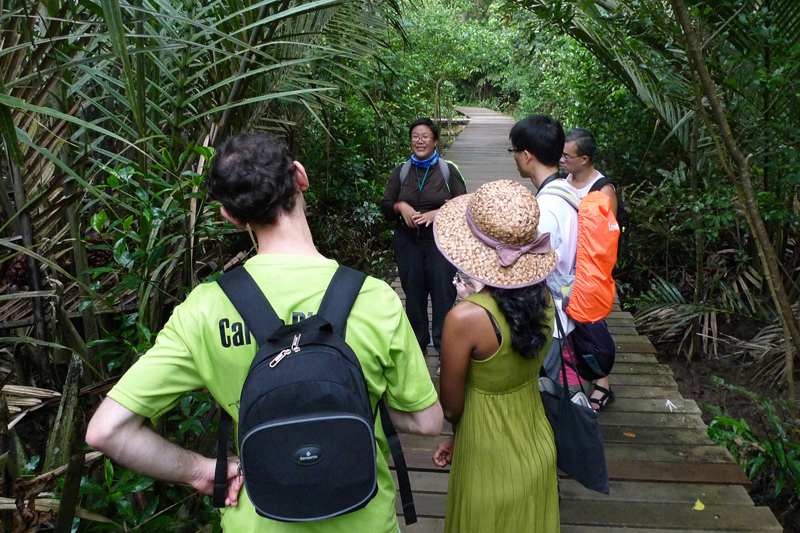 Ria explaining about the nipah palm. 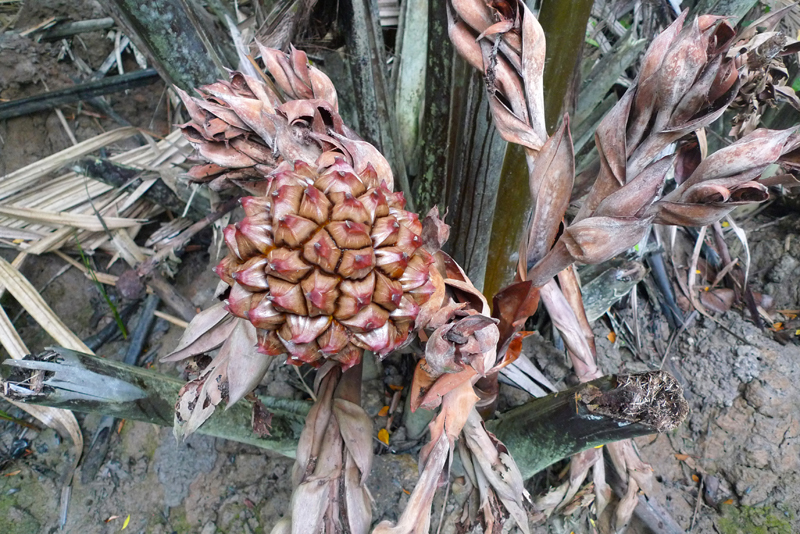 Fruit of the nipah palm. This is where you get attap chee from. Our visitors looking at the waving fiddler crabs and trying to spot sand bubbler crabs. 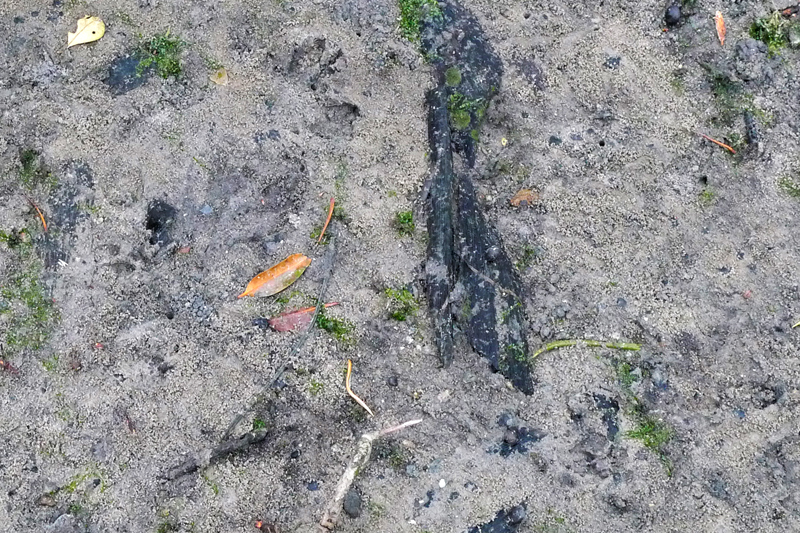 At the start of the boardwalk, there were still presence of wild boar foraging tracks in the mud. I also noticed their tracks on the sand at the coastal side. 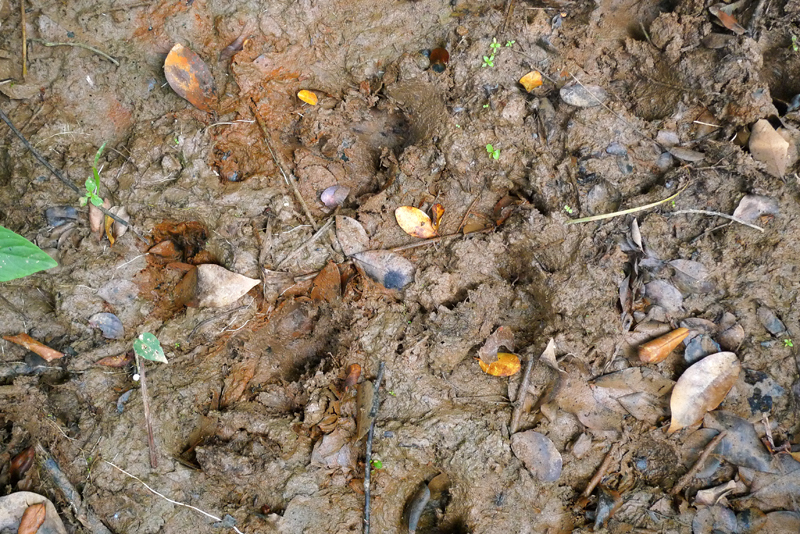 Wild boar tracks at the start of the boardwalk. 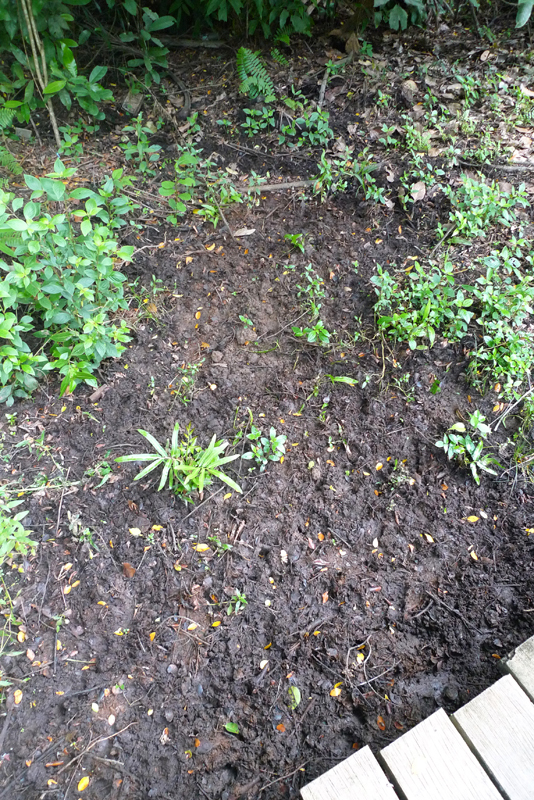 Damage caused by wild boars' digging. Track on sand. Can you see them? Along the coastal side, the rain started to get slightly heavy. But the visitors did not give up the walk and we walk the whole route. Hurray for the visitors. Umbrellas and ponchos all out. 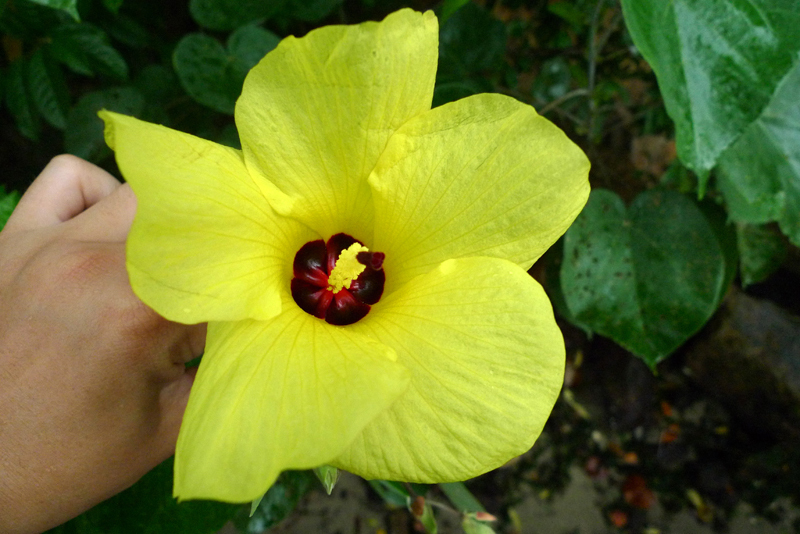 There were many pretty sea hibiscus flowers and some of them were wide opened. I took the opportunity to show the visitors the pretty flower. 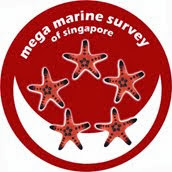 Too bad I was not able to find a sea hibiscus flower that is about to fall to share with the visitors. All trips end at House No. 1 with our visitors participating in our guestbook's writing or drawing. No photos from me though. The guides had a lovely lunch at the Sister's Restaurant despite the ongoing rain. 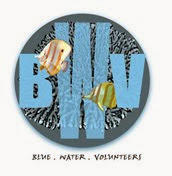 For more details about the free Chek Jawa guided walk by the Naked Hermit Crabs, check out here.